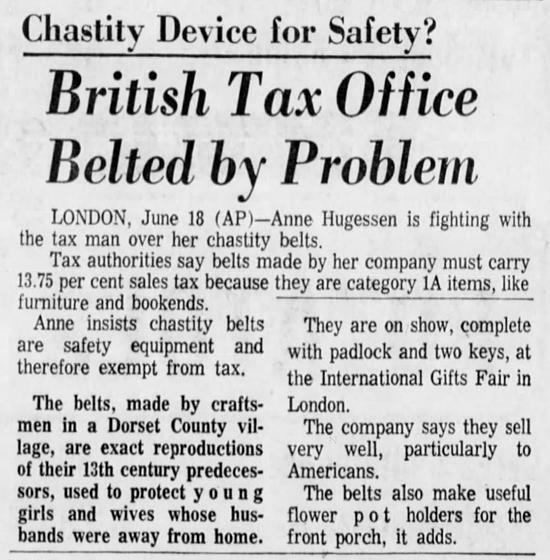 What I find most interesting is not the tax issue, but the claimed alternative uses of the chastity belts—as holders for flower pots and ice buckets. 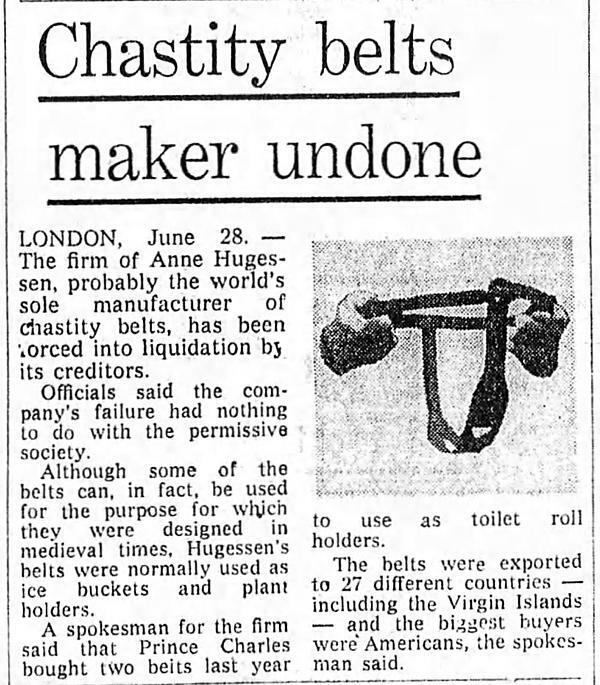 Also, "A spokesman for the firm said that Prince Charles bought two belts last year to use as toilet roll holders." This was featured on page 2 of this romance comic. I leave you to draw your own conclusions. 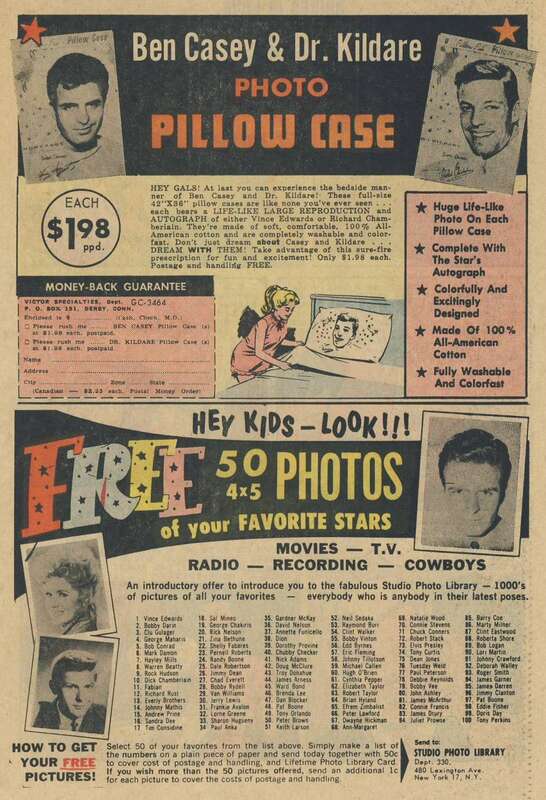 An early example of Dakimakura. 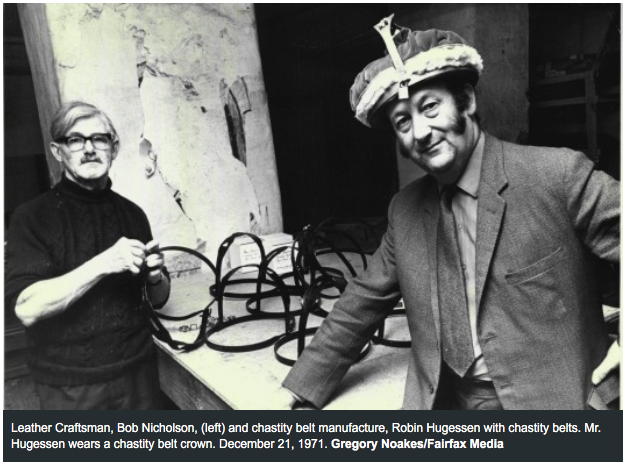 I understand Richard Chamberlain still has a warehouse of these which he will sell upon request. 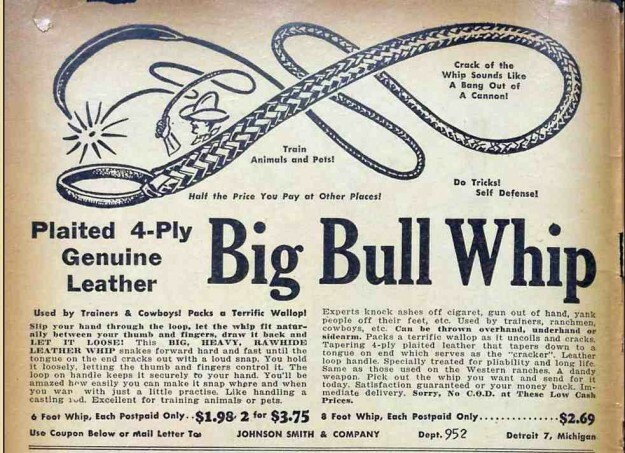 Original ad here (page 31).